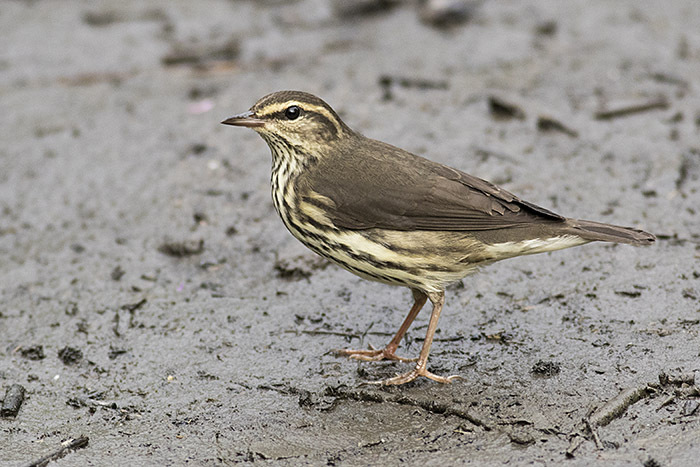 Caption: Northern Waterthrush (Parkesia noveboracensis) foraging on a mud flat in late August on fall migration. Location: The Pond, Central Park. New York, NY.